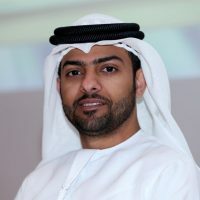 A UAE national from Abu Dhabi, Abdul Aziz is the founder and Co-President of the Maserati Owners Club UAE. He owned a 2014 Quattroporte GTS and now he has a 2018 Granturismo Sport. Abdul Aziz is a graduate in Chemical Engineering and has a Master Degree in Quality Management. His profession is Business Quality & Excellence. “I am honored and proud to be in this club with our amazing members and it really makes me so happy to see how fast the club is growing and confident that this club is moving in the right direction”.